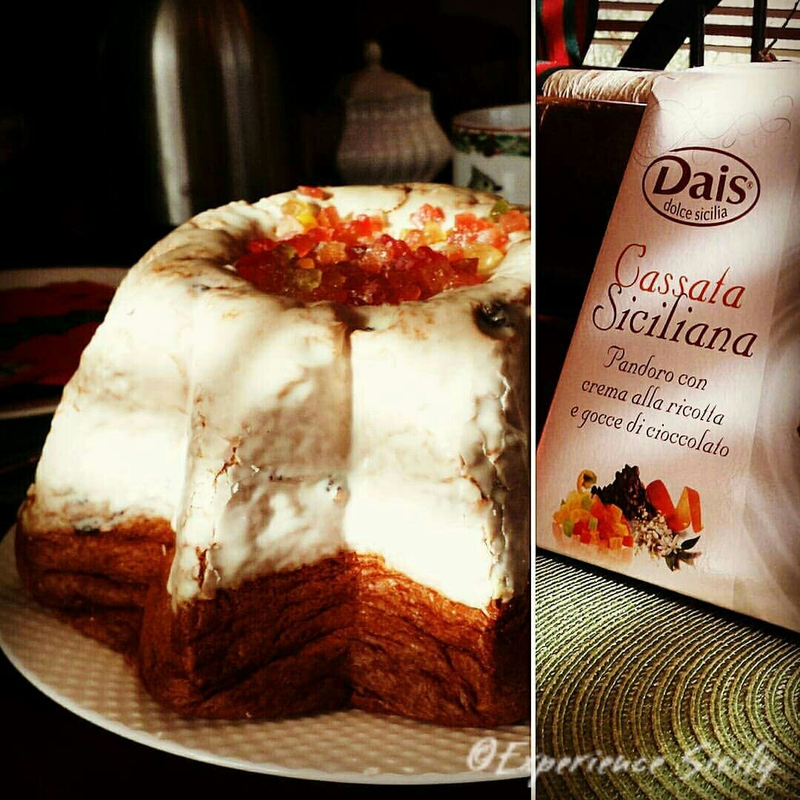 Sicilian infused panettone or pandoro … Stuffed with sweet ricotta! I couldn’t resist when I saw this at DiPalo in New York’s Little Italy. We ate it for breakfast on Christmas morning. Not exactly cassata, but a treat nevertheless! Previous Post Buon Natale! Merry Christmas! Hi Alison, Louie has another one from Sicily with Pistacchio paste on the side and it comes with a knife. It’s from Sicily. I was going to get this one. I think I’m going to get this one if he still has it. I love dried fruit and cassata is my fav! THe cake of the other pannetone from Sicily is great. Unusually soft. Francesca, I saw the pistacchio one last year, and regretted not buying it. Next year! This one is a tribute to a Northern Italian tradition mixed with Sicilian. Sounds like a delicioso breakfast!